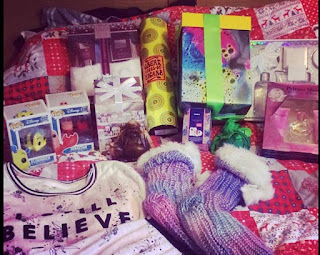 I always normally do a post on what I got for Christmas, I did good this year and got quite a few of my favourite items! It's so late, but I've not had anytime to photo any of the items! 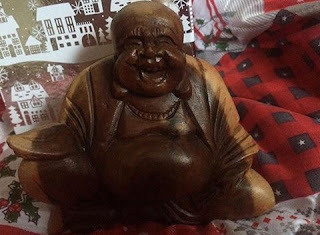 Happy Buddah - I've wanted a Buddah for ages, but I was told it was bad luck to buy yourself one and they are lucky as gifts. So happy I have one, hopefully he brings me good luck in 2017. Funko Pops! Christmas isn't complete without a new pop or two. This year was Flounder and Sebastian from " The Little Mermaid " my favourite Disney film. I also received this lovely Ursula Tinkabling glass, I already have an Ariel one so this matches nicely. I got the loveliest cosy slipper socks from my best friend, I love these type of slipper socks. Lush Products - I always get a gift set of some sort at Christmas, I use lush all the time so these always come in handy when I need some me time.. Check out the little sprout, I normally hate sprouts but I love this little one. Not only did Baylis & Harding send me a huge box of gifts before Christmas, I got too sets from my mom. I normally buy some sets in the sales. This year I don't need to and I loved the slippers set as I needed a new pair. A new Yankee candle in one of my favourite scents, black coconut! It's smells divine. Supernatural season 8 is the season I've been missing from my collection, cat wait to start watching the Winchester boys on DVD. Britney Spears Perfume - ( The private show ) My mom gave me some samples for this earlier in the year and I loved it straight away. I love this little set. Tinkerbell Pjs ( I believe in fairies) I love these loungewear pjs. Primark are awesome for pjs aren't they. Nivea mini set, which has gone straight in my handbag, perfect little minis. 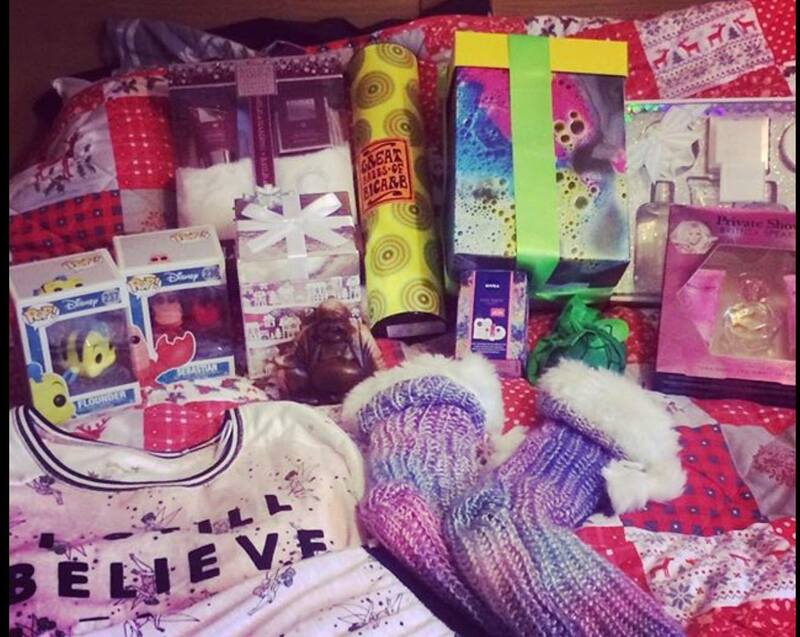 It's really glad to hear that you receive "Private Show" a Britney Spears Perfume on your Christmas. I must say, that is a great gift for a younger girl's Christmas gift for its sweet notes. Thanks for sharing this post.